THE recognized brand leader in nuisance animal control !
? One unit protects approximately 1,000 sq. 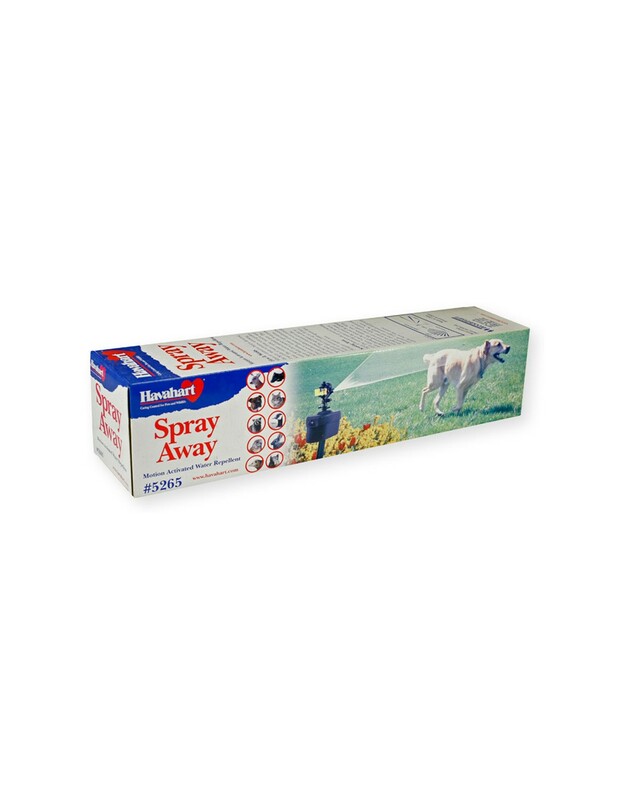 ft.
HavaHart spray away motion activated water repellent chases away animals and birds from gardens, landscape and yard. 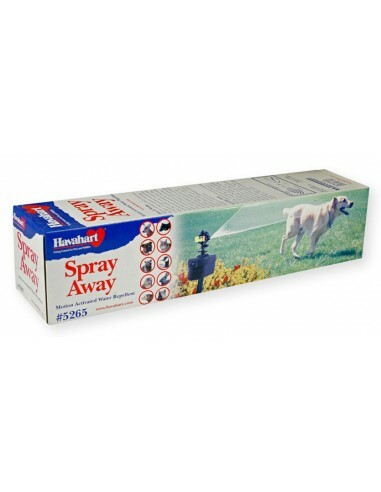 HavaHart spray away works by detecting an animal or bird with infra-red sensors. Once detected, the electronic valve releases a three second burst of water from an attached garden hose. Water spray is broadcast up to 35 feet to protect a 1,000 square-foot area. Adjustable sensitivity detector and random spray pattern prevent animals from growing accustomed to the sprayer. The animal repellent's unpleasant experience is associated with the location, conditioning the animal to avoid the area. Sprinkler has a 180 degree front sweep with infra-red motion detection. The sudden noise, motion and water spray will not harm animals. This eco-friendly training is consistent 24 hours a day, using short bursts of two-three cups of water per motion activation. Repelling deer, dogs, raccoons, groundhogs, opossum, skunks, cats, rabbits, squirrels, and geese. Clean, harmless, and effective sensor activated spray deters animals from your lawn and garden.